Building stuff means getting messy, but gluing your fingers together? 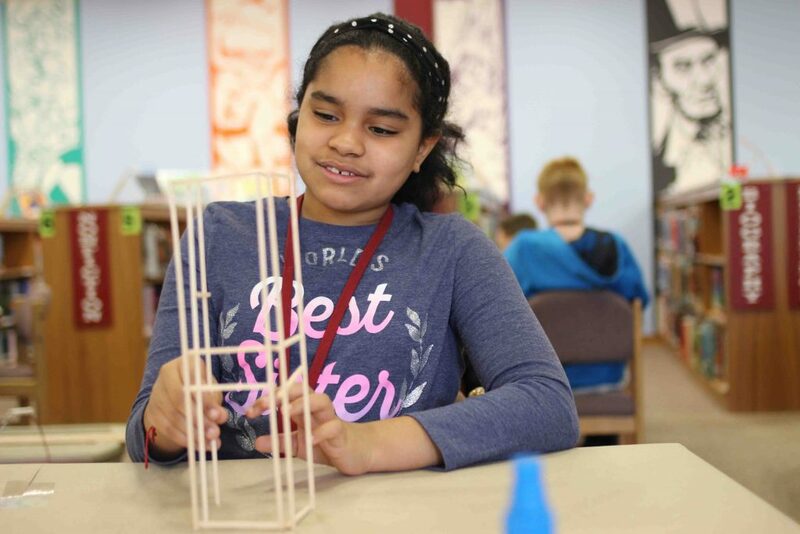 It happens more than you’d imagine as Cheston Elementary fifth-graders become master builders. Around eight tables draped in kraft paper, teams of three work to cut and glue balsa wood towers. Some groups, as might be expected, are measuring their sticks with precision while others are a bit more slapstick—rushed and fun. Both approaches still lead to glued fingers. Stephen Kurtz, associate professor of civil and environmental engineering, has provided the blueprint for the day. 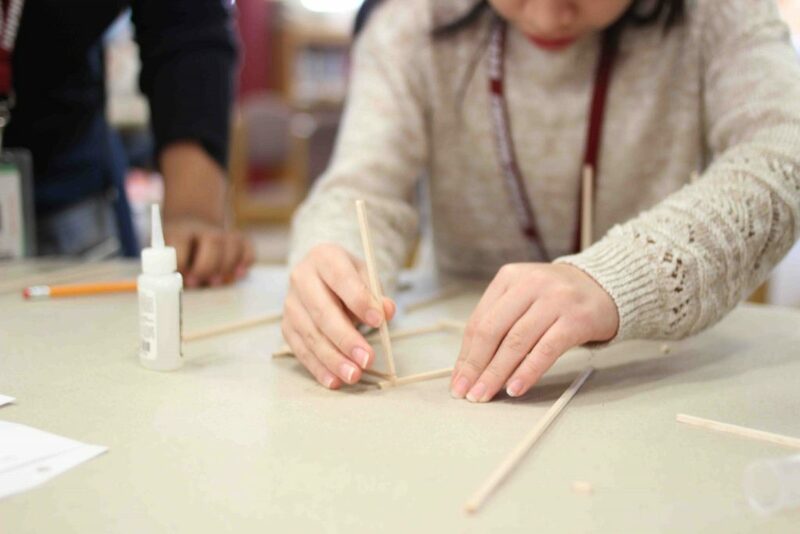 Each team has about an hour to create a tower that can be no taller than 12 inches and no smaller than 6 inches in diameter. He’s talked briefly about the concept of buckling: that slender balsa sticks are weak and need bracing; reducing slenderness helps increase strength; excess glue adds weight and decreases strength. Students are into it. While some could use a liberal amount of glue for their chairs, most are sitting and concentrating. Kurtz has held aloft the balsa tower he made that morning. Some students attempt replicas; others improvise. Each tower slowly rises in a manner that feels as unique as the team. 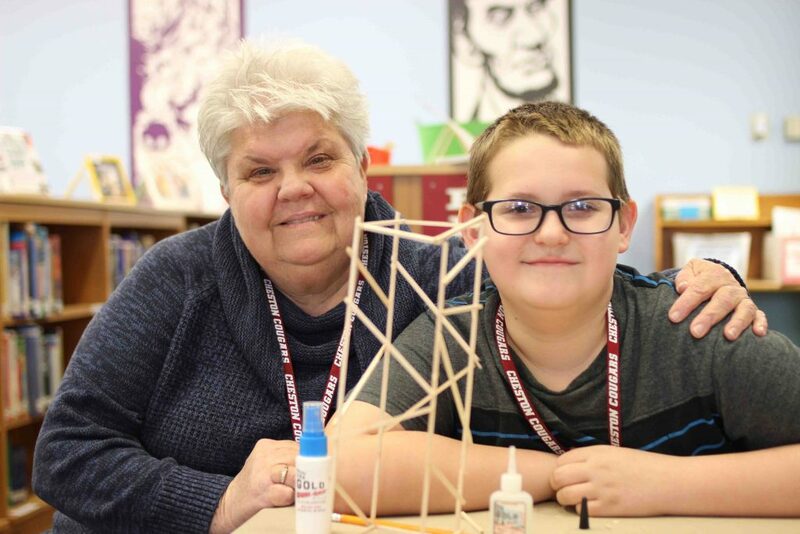 The students’ teacher, Mrs. Foulk, has broken up cliques in the class and put teams together that can work on building patience and cooperation—two important skills as students bring to life the district’s “Leader in Me” program, which uses Steven Covey’s Seven Habits for Highly Successful People. Cheston Elementary is one of two United Way Community Schools in Easton. United Way of the Greater Lehigh Valley is focused on leveling the playing field for schools where students face more barriers to success. The schools become a hub of services that include on-site medical and dental, food banks, clothing closets, and housing resources. The services can help prevent issues that distract from learning. All distractions cease when it’s time to crush what they created. Kurtz reminds them each tower will be tested for load—how much weight it can withstand before failure. 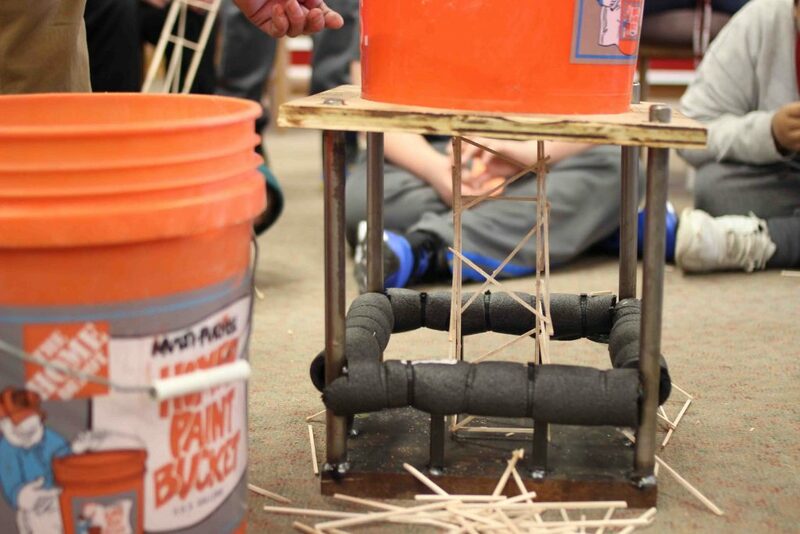 One by one, groups weigh their towers and then load them into a simple device consisting of a plywood table that supports a plastic bucket. Kurtz adds sand to that bucket scoop by scoop until the inevitable collapse. The winner is not the tower that holds the most weight. 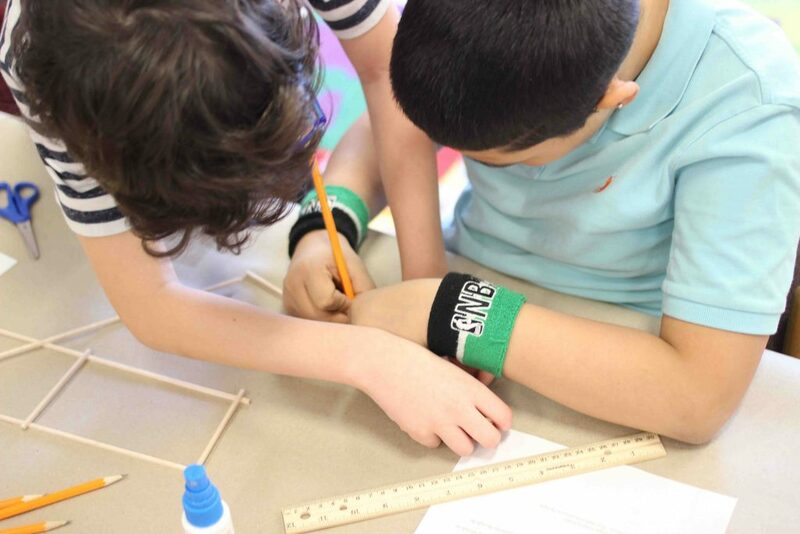 Students must practice their long division and divide the load weight by the weight of their tower. That ratio crowns the winner. Each tower has a name, like Stronghold, Larry, Cyborg, Sally, and Uni-Taco (as in their two favorite things, unicorns and tacos). With each scoop of sand, towers slowly begin to wiggle, bow, and eventually snap. Splintered shards litter the floor—the perfect souvenir. As the load increases, students fill the room with chants. Sometimes it’s the tower’s name. Other times it’s “break,” but the community school coordinator helps turn that chant into something more supportive. “Hold, hold, hold!” the children cheer. After all towers are crushed, students want to see if Kurtz’s tower, which they begin to call the Leopard Boss, can beat their top finishers. They don’t. Leopard Boss is the boss. While the pupils have yet to surpass the master, the win isn’t so great that he wasn’t feeling the pressure. Makes all the glued fingers worth it.